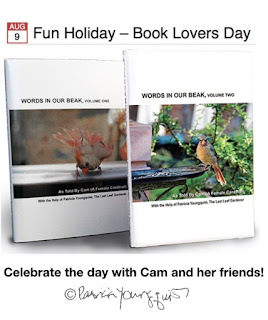 The Last Leaf Gardener: It's Book Lovers Day! August 9 is Book Lovers Day, an unofficial holiday that encourages people to pick up a book (or two) and spend the day reading. ... If you are a book lover yourself, then treat yourself to some quality reading time. 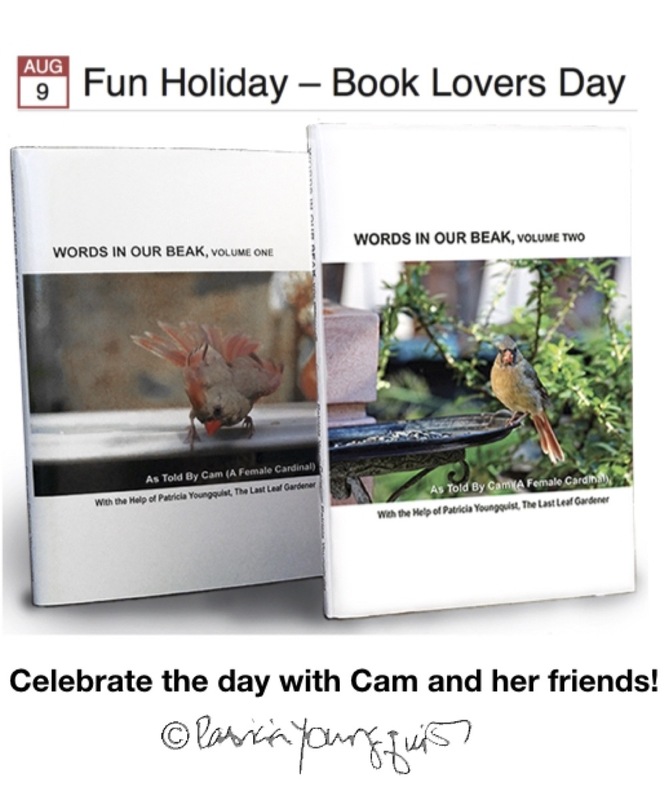 Book Lovers Day is also known as National Book Lovers Day in the United States. Re this date, one web-page states this is a time to "honor all the bookworms and book lovers in your life." And they go on to say, "If you are a book lover yourself, then treat yourself to some quality reading time." 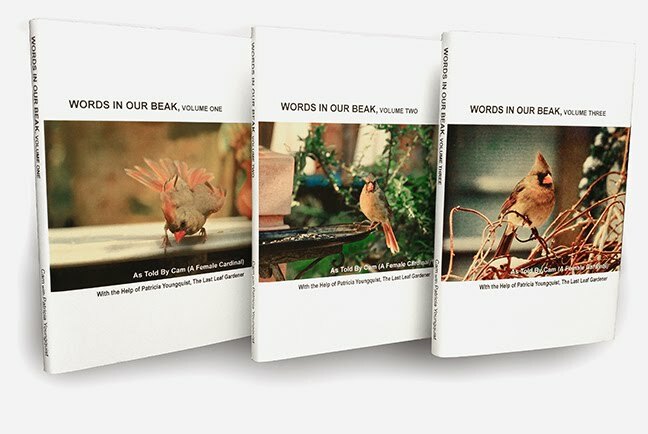 On this day Cam, a prolific female cardinal (whose stories can be found in our current book series, Words In Our Beak) and I hope you will take this opportunity to spend time with her (and her friends) through volumes one and two her stories (volume three is being formatted) which mostly take place in my rooftop garden.